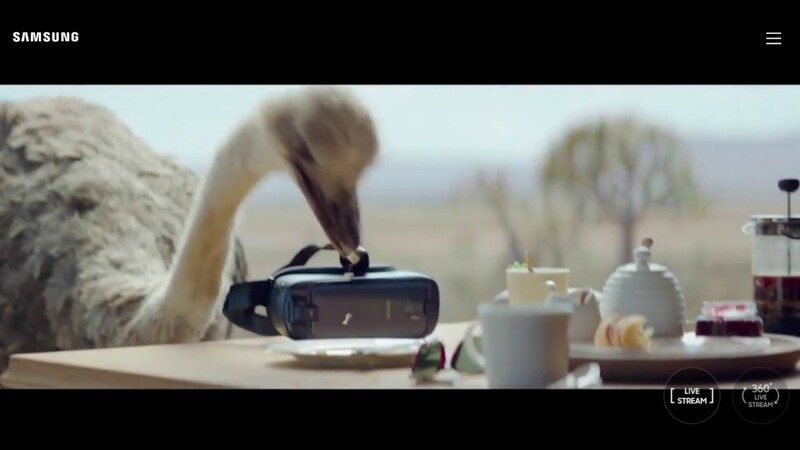 I can’t remember the last time that I saw a commercial featuring an ostrich, so this gem from Samsung is unusual. Blundering along the African plain and coming across a dwelling, an ostrich pecks up a few crumbs on an outdoors breakfast table, managing in the process to wind up wearing some virtual reality goggles also left lying there. Our boy’s horizons are radically expanded through a flight simulation program running on the goggles, and so he is inspired to attempt the impossible for his species…flight. With Elton John’s Rocket Man as the theme, the ostrich extends his wings, and is soon soaring like a mighty eagle!